Previous Page 2 of 5. Next Go back to the homepage. "Mott-insulator-aided detection of ultra-narrow Feshbach resonances" by Manfred J. Mark, Florian Meinert, Katharina Lauber, Hanns-Christoph Nägerl has received the Select label. Warm congratulations to the authors! This innovative paper shows a new way of studying bound states in atom-atom scattering, and gives an exact demonstrator on how to measure very narrow Feshbach resonances. Although the authors used cesium in their demonstrator, other atoms with complex and overlapping Feshbach spectra like dipolar lanthanides could also benefit from this study. In general, these results provide a powerful tool to identify and characterise narrow scattering resonances. Therefore, this research has the potential to improve the accuracy of coupled-channels calculations of molecular potentials, may lead to new ways for the field of spectroscopy, and can ultimately give a new impulse to the study of interacting quantum matter. "Walking, Weak first-order transitions, and Complex CFTs II. Two-dimensional Potts model at Q>4" by Victor Gorbenko, Slava Rychkov, Bernardo Zan has received the Select label. Warm congratulations to the authors! This theoretical high energy physics paper studies the slow Renormalization Group (RG) evolution using a 2D Potts model with Q > 4. First, the authors define new complex Conformal Field Theories (CFTs). Then, these new CFTs are used to develop a conformal perturbation approach that describe slow real coupling trajectories in the vicinity of these complex CFTs. The Potts model was used to develop these CFTs because, apart from its own significance, it serves as an ideal playground for testing this very general relation. Here, one will find a thorough discussion of all conceptual issues related to the topic, and the theories developed can be further used as a smoking gun for detecting walking in Monte Carlo simulations. On 1st of November, the KNAW organized a meeting on Plan S for making Open Access a reality by 2020. At this meeting, Robert-Jan Smits, the driving force behind this plan, gave an enlightening presentation in which he singled out and strongly endorsed SciPost (from 2:00 on), calling it a "marvelous initiative". Interestingly, he suggested that "Rhodium" was a more appropriate descriptor for SciPost than Platinum or Diamond. In his words, Rhodium is a "precious metal, which is rock solid, highly reflective, and can resist corrosion" and fits SciPost, "which deserves a classification of its own", better. SciPost is very grateful for this greatly encouraging recognition, and will redouble its efforts in implementing the transition to Open Access by realizing its vision for the future: Plan SciPost. SciPost is extremely pleased to have received a substantial donation of over 30k€ from a private donor. The timing of this generous gift could not have been better chosen: our activities are currently scaling up and we need to expand, but are still very busy trying to gather sufficient institutional support. With this gust of wind in our sails, we can accelerate the implementation of a number of projects and improvements to the portal. The SciPost Foundation expresses its warmest thanks to this benefactor for this subsidy, the second-largest we have received until now. Select label to Bauer et al. "Monitoring continuous spectrum observables: the strong measurement limit" by Michel Bauer, Denis Bernard, Tony Jin has received the Select label. When monitoring quantum observables with continuous spectrum, the internal system evolution can compete with the measurement process. This competition induces a peculiar stochastic dynamics of the systems states which needs to be deciphered. In this well written and didactic paper, the authors rigorously formulate this challenging problem and study strong measurement limits. The analysis developed in this paper is expected to motivate further mathematical work based on the author’s approach, and a discussion can be started in the field. Select label to Butter et al. 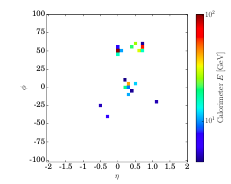 "Deep-learned Top Tagging with a Lorentz Layer" by Anja Butter, Gregor Kasieczk, Tilman Plehn and Michael Russel has received the Select label. Deep learning techniques based on low-level detector output are a promising new way to identify patterns in proton collision data at the LHC. They will, for example, allow us to identify the elementary particles making up so-called jets. This paper introduces a novel tagger that can identify boosted decaying top quarks using a set of measured four-momenta. It first shows that such taggers will outperform established techniques in a realistic detector environment. In addition, it traces the relevant patterns to the particle masses involved, extracted through the appropriate Minkowski metric. Quantum quenches to the attractive one-dimensional Bose gas: exact results by Lorenzo Piroli, Pasquale Calabrese, Fabian H. L. Essler was the first article published in SciPost Physics, exactly two years ago. 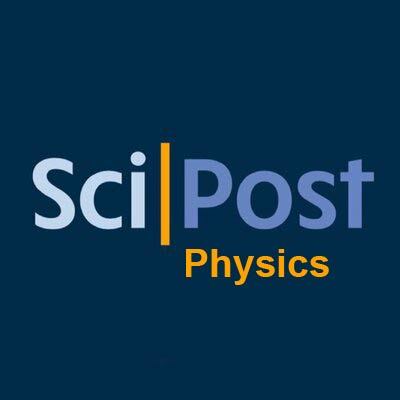 Since then, many scientist have joined the SciPost family, supporting more transparent and efficient scientific publishing models. We want to give a big thank you to all of them for believing in our initiative! But the journey continues. Take this opportunity to support our initiative by encouraging your institution to join our Supporting Partners Board, by submitting your article with us, or by signing our petition. It is a pleasure for SciPost to welcome the University of Heidelberg as its latest Supporting Partner. We are very grateful to this institution and its local scientists for backing our model and giving fuel to our current Expansion and Sustainability Drive. "On the coupling of Galilean-invariant field theories to curved spacetime" by Kristan Jensen has received a Select label. This study presents a novel way to solve the problem of coupling Galilean-invariant quantum field theories to a fixed spacetime, which is very important for the Quantum Field Theory applications to condensed matter systems. The author shows that Newton-Cartan geometry subject to the shift symmetry arises in null reductions of Lorentzian manifolds. Thus, his proposal is realized for theories which are holographically dual to quantum gravity on Schrodinger spacetimes. He uses this null reduction to efficiently form tensorial invariants under the boost and particle number symmetries. They also explore the coupling of Schrodinger-invariant field theories to spacetime, which would necessitate the Newton-Cartan analogue of Weyl invariance. The clear exposition and solution presented expands on previous work, providing many sanity checks and find a new way to relates his construction to null reductions of Lorentzian manifolds, which is conceptually important and of great help in relating these sorts of non-relativistic constructions to better understood physics on Lorentzian manifolds. Select label to Bertone et al. "Illuminating the photon content of the proton within a global PDF analysis" by Valerio Bertone, Stefano Carrazza, Nathan P. Hartland and Juan Rojo has received the Select label. 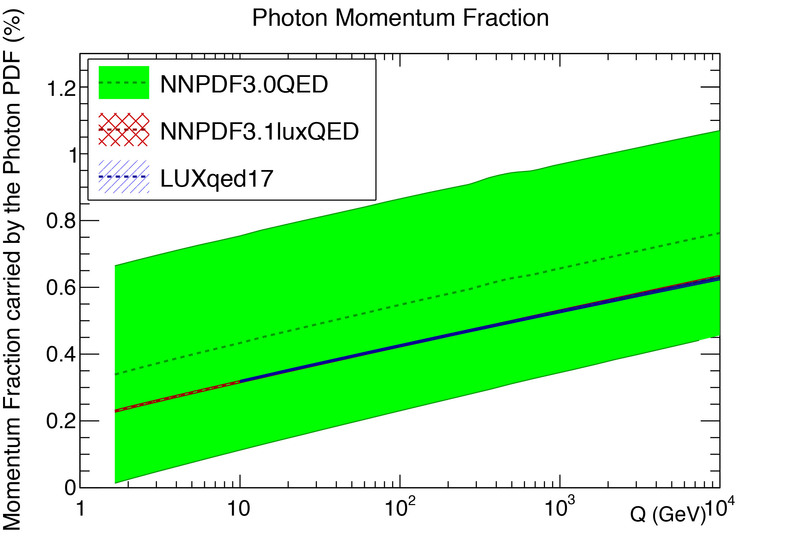 This study tackles the precision issues caused at the LHC by the photon content of the proton, where it is found that corrections of up to 20% might be needed in many processes due to photon-initiated contributions. For the first time, the authors used the LUXqed formalism combined with the global NNPDF analysis framework. By combining these two methods, a state-of-the-art description of the photon content within the proton can be achieved, and the precision of theory predictions of LHC processes can be highly improved. Moreover, the authors consider the implications of this study in a range of phenomenological applications, which is particularly interesting for the interpretation of present and future LHC measurements.